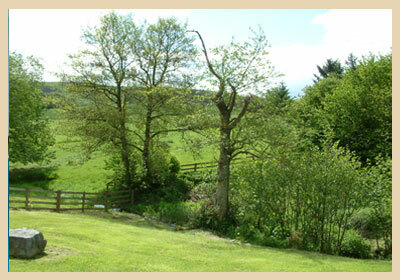 Planning to take a holiday in a cottage in Wales? To make your holiday extra special you may choose to rent a holiday cottage with a pool. Cottages with pools can be simply excellent for relaxing and offer great opportunities for fun family times for those who enjoy splashing around. If you have a pet dog, take a look at our pet-friendly cottages with pools for places where your dog can come too. Have the joy of a swimming pool for fun and exercise during a holiday in Wales. It's another pleasure to add to the list of nice things that you plan to enjoy in Wales during your self-catering break..
Wales with its valleys, impressive coastline and rich history attracts visitors all year round. Wales promises wide open green spaces, valleys and the mountains of Snowdonia. If you are unsure as to where to take your cottage holiday you may choose Wales if you have a strong love for the outdoors. Hiking, walking and even mountaineering are options in the Snowdonia National Park. Or enjoy spending some time on the coast, building sand castles and rock-pooling. In terms of wildlife, Wales has a large number of sheep but is also home to some islands rich in bird-life such as Skomer Island. Avid birdwatchers head to Skomer Island for the puffins mainly and also to catch sight of seals. Wales also has plenty of historical attractions from castles to country houses, many of which boast beautiful gardens which spring in to bloom in summer. A self-catering holiday in Wales is to be highly recommended for those who enjoy spending time in the great outdoors and love outdoor pursuits such as walking, cycling or hiking. After all that activity, what could be better than to come back to a cottage with a pool in Wales where you can take a refreshing dip and ease away the stresses of the day. It doesn't matter where you wander in Wales or what you do but you'll come across beauty, a sense of history and a love of singing and the arts. Visit Wales, stay in a cottage with its own swimming pool and float away your cares.